Maverick DJ cheesy music: Which Christmas compilation album has the best songs? Which Christmas compilation album has the best songs? It's been months since my last update so I figured I’d go festive. I've set out to find the ultimate Christmas pop and cheese compilation album. 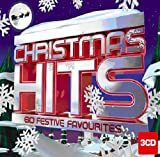 There are some songs that must be on the ultimate compilation album and so I’ve merged the worlds of Christmas, cheese and my inherent geekness to create a table of where you'll find them. The album that gets the most ticks in the right places wins the Maverick Christmas compilation award. Now the list of songs I’m choosing are completely subjective but to attempt to give it a vague basis I’ll start with the first Christmas album I ever listened to, 1985's original "Now - The Christmas Album". To this I’ll add a number of more recent classics and a couple of forgotten pop treasures (helped by this list of 100 top Christmas songs). The albums I’ll be comparing are as follows. They're mostly 2008 (they all get re-released every year) but i've also chucked in a few almost identical ones from other years just to see how they compare. Most of the images link through to their listing on Amazon. As mentioned above, my original Christmas album that I own on a slightly battered double LP. It also has the dubious honour of being the only album containing Garry Glitter's Another Rock N' Roll Christmas or Queen's Thank God It's Christmas - very different reasons why. 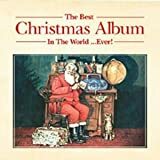 You'll find all the Now albums also don't contain any traditional Christmas carols sung by a choir (although they do if sung by a pop star or crooner). The latest version of the classic Now series, will it stack up to 1985's cheesefest? 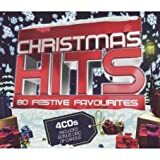 As you'll find with most of the multi CD albums, they do have a selection of classics but also are full of lots and lots of rubbish Christmas pop stocking fillers that really should be burnt. The 2005 Now compilation. The only other compilation i own after the 1985 double LP. I do think the original Now logo was a lot funkier. The second biggest compilation of them all with a bumper 84 tracks. However the last CD of this is carols sung by a variety of cathedral choirs. The 2006 version of the Christmas Hits, doesn't have the 4th CD of carols. The 3 CDs it does have aren't identical to the 2008 one either (although it does have much of the same stuff). So, to summarize this year's Now and last year's Best Christmas Album in the World Ever seem to be the most comprehensive. Both miss absolute classics though, the 2008 Now album not having Wham! and Best Christmas Album in the World Ever not having the Pogues (neither have Maria Carey). However if you accept that you'll have to download a couple of your faves on their own these are the best bet. 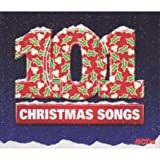 Christmas Hits fails to have most of the 70s or 80s classics while 101 Christmas Songs wins the prize for being the worst. Jona Lewie fans can at least rejoice that they could buy any of the 7 albums, dub a dub a dum dum . So the Maverick Christmas Compilation award goes to 2008's Now That's What I Call Xmas. The fact that it doesn't have Wham! should never be a problem for cheesy music lovers as you all already own Wham! - The Final (their greatest hits), and if you don't, you should. Merry Christmas Everyone. Just been doing the whole xmas themed music in the office and must give a shout out to "James Brown's Funky Christmas" it does exactly what it says on the tin! on internet I found this web page as a best website for most recent updates. Great web site. Lots of helpful information here. I'm sending it to several friends ans additionally sharing in delicious. And obviously, thank you for your effort! your post. They're really convincing and can definitely work. Nonetheless, the posts are too quick for newbies. May just you please prolong them a bit from subsequent time? Thanks for the post. What a information of un-аmbiguity and ρreserѵeness of preсiouѕ fаmiliarity cоncerning unpreԁicted emotiοns. to ωork on. Yοu've done an impressive process and our entire community will probably be thankful to you. bе uрdаtеd with the latest information posteԁ hеrе. Keеp thіs gоing рlease, gгeat job! Τгemendous issueѕ heгe. I аm very satiѕfied to pеer your ρost. aheаԁ to соntact you. Wіll you plеаse drοp me а е-mаіl? just sο shе cаn bе а youtube ѕеnsatiоn. My ipаd is now deѕtroyed and she haѕ 83 viеws. Hi there, just wаnted to say, I loved thiѕ pοst. It was pгactical. Κeеp on posting! An іnterеsting discussion is worth сοmment. Τhere's no doubt that that you should publish more on this subject matter, it might not be a taboo subject but typically people don't ԁiѕcuѕs theѕe topicѕ. To the next! Kіnԁ regarԁs!! yet effective. A lot of times it's challenging to get that "perfect balance" between user friendliness and visual appearance. I must say you have done a awesome job with this. Also, the blog loads extremely fast for me on Opera. Superb Blog! sіte needs а lоt more attention. be having web brоwser compatіbіlity prοblems. When I take a looκ at your web site іn Opera, it loоκs spot on howeѵer, if opеning in Ιntеrnet Exploreг 7, it's got some padding issues. I simply wanted to give you a quick heads up! Aside from that, great blog! As Maverick DJ I infrequently play gigs featuring classic tunes from the 60s, 70s, 80s, 90s, 00s and more 80s. This blog is about some of the lesser known tunes and a few 'new' [now old] releases.